Ombre is a term that refers to the gradual transition of color from light to dark shades of the same color or from one color to another color. 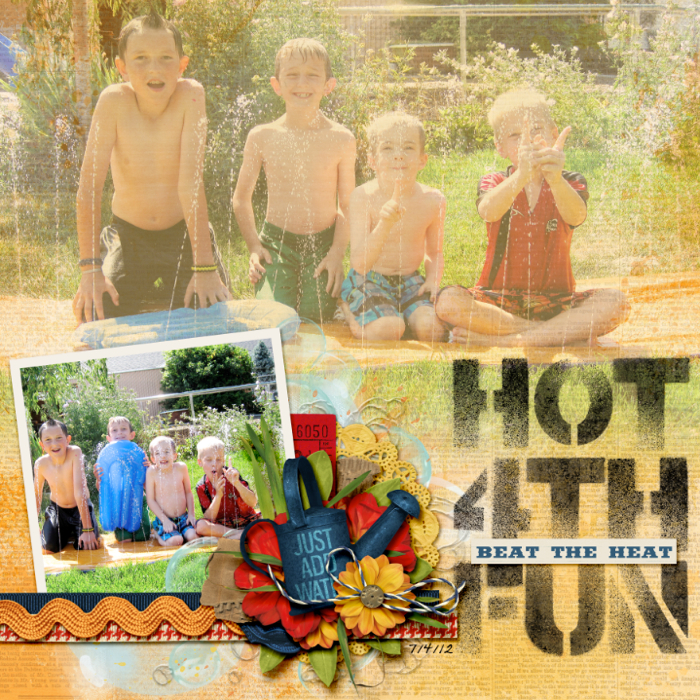 Ombre has become a bit of a trend in the scrapbooking world lately, and it’s one I really love. In this tutorial, I’m going to show you how to apply and ombre effect to a title and then give you some tips on how you can apply it in other ways. 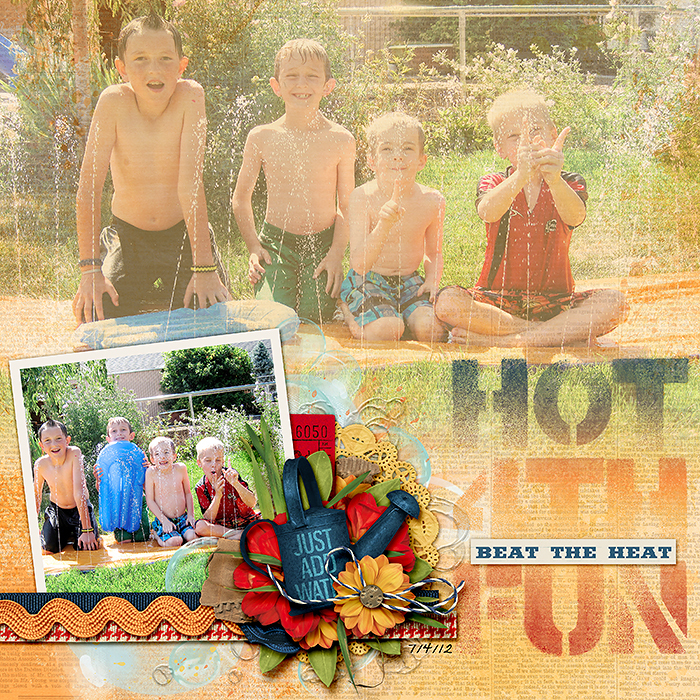 I’m starting with this layout that I created using Heat Wave by Kristin Cronin-Barrow. 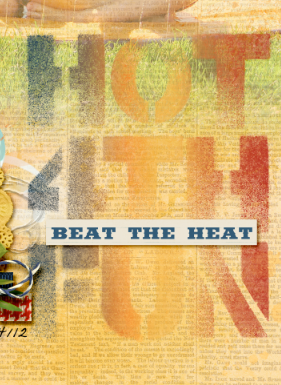 The title work was done using Vintage Finds: Stencil and Spray Vol 1 by Jenn Barrette. 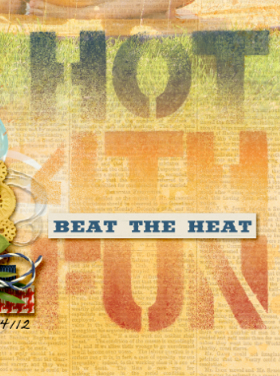 I want to apply an ombre effect to the title using colors found in the kit. So let’s get started! Add a new blank layer above the title layer. 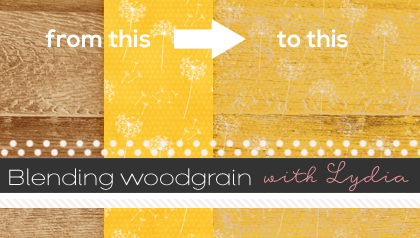 In the Layer Menu, choose Create Clipping Mask to clip the blank layer to the title layer. Click on the Gradient tool. 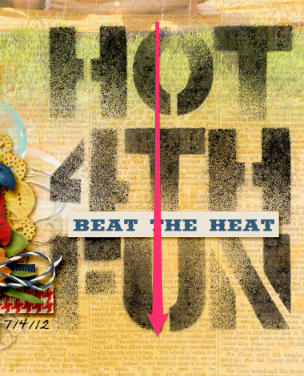 Double click on the Color Stop at the far left on the bottom of the gradient strip. This will open the Color Picker. 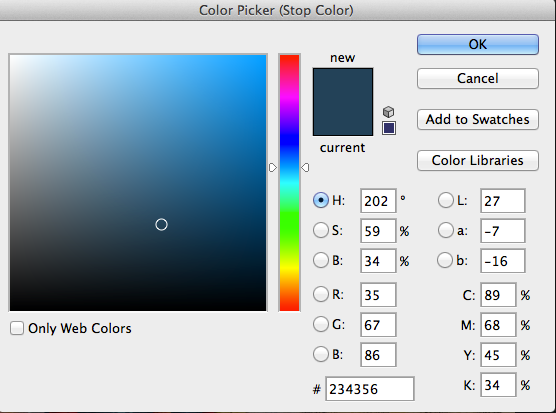 In the Color Picker, choose one of the colors that you want to use in your gradient and click OK. 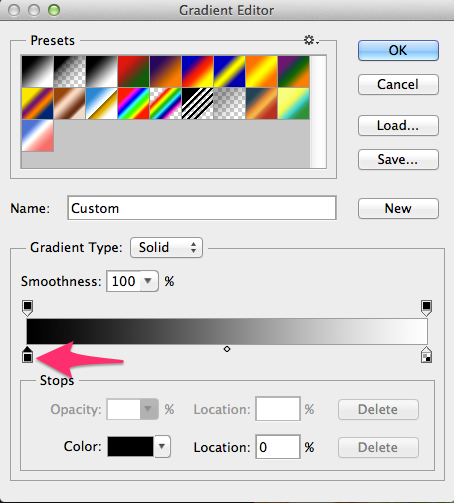 Double click on the Color Stop at the far right on the bottom of the gradient strip, and choose another color. 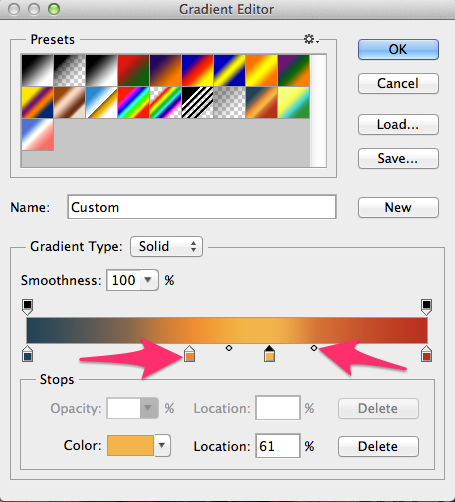 To add additional Color Stops, single click anywhere along the color strip and choose another color. To adjust where the color transitions begin, click on the little diamonds between the Color Stops and slide them to either side. 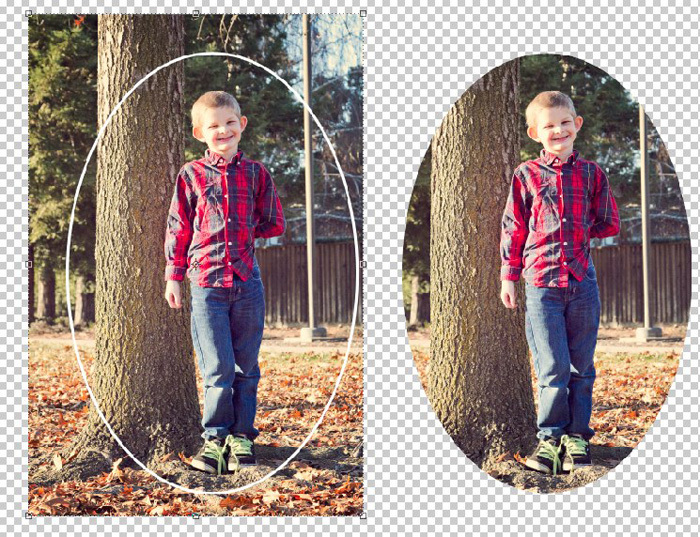 In the Layers panel, make sure that the blank layer you created is active. On the layout, click at the top of the title and drag down to the bottom of the title. 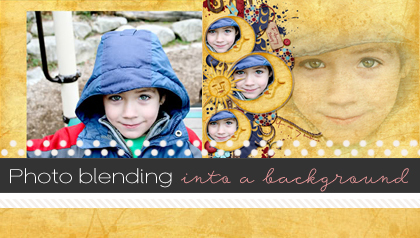 Ombre gradients can also be used with Blending Modes to create fun background papers. For these examples I put the gradient layer below the paper and then played around with the Blending Modes and Opacities to get an effect that I liked. 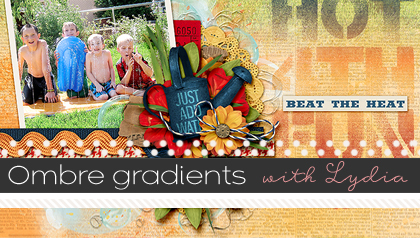 I hope you’ve enjoyed this tutorial, and I look forward to seeing lots of fun ombre gradients in use on your layouts! Thank you for this wonderful tutorial that will definitely be an asset to my layout pages. I have problems with titles, and your tutorial will make a positive impact to my page. The results are truly awesome and add beauty and uniqueness to a page. I will use this on my next layout page. Hugs. Thank you for the great tutorial, there is so many to learn and I,m happy to find your site with great learning stuff. Thanks so much for this, I have pinned it on my pinterest page,because I think it is fab, hope you don’t mind, but if you do Let me know and I will remove it.